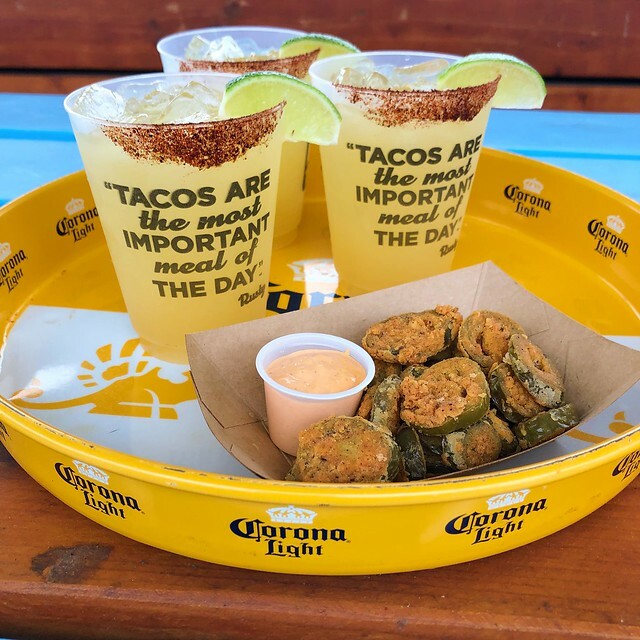 Rusty Taco is offering three brand new seasonal items to its menu for a limited time — the decadent Migas Taco, a side of crispy Fried Jalapeños and a slightly sweet Pineapple Honey Margarita. The Migas Taco features a base of warm scrambled eggs and chorizo hash (fried potatoes, onions, peppers and chorizo), which is topped with fried jalapeños and crumbled tortilla chips, and covered in creamy queso and Rojo salsa inside a fresh flour tortilla. The crispy and spicy Fried Jalapeños are served with a side of creamy Baja sauce. The lineup also includes a light and refreshing Pineapple Honey Margarita, which features chili spice and sugar around the rim. The three items will be available for a limited time at Rusty Taco locations from February 11 through May 12.